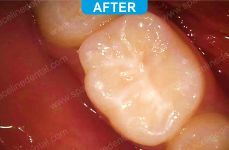 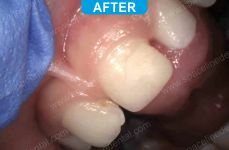 This patient had deep grooves and fissure on his first molars. 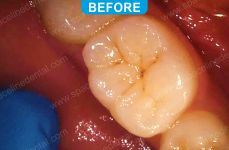 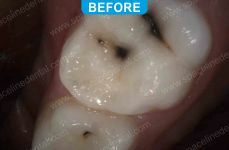 The patient was treated by using Pit & Fissure sealants which acts as barrier against cavities. 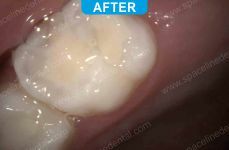 A child came in with cavities in milk teeth. 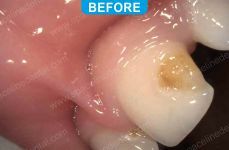 Tooth coloured fillings was done to restore them.